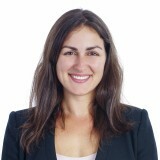 Anne-Émilie Beaulieu joined CMKZ’s team in September 2012. She has developed a diversified practice in mediation, arbitration and civil and commercial litigation. She is frequently called upon by her clients to defend their interests before Quebec’s judicial courts and administrative tribunals in matters pertaining to commercial law, corporate law, contracts, real estate law and hypothecary rights. Anne-Émilie Beaulieu is an accredited mediator.